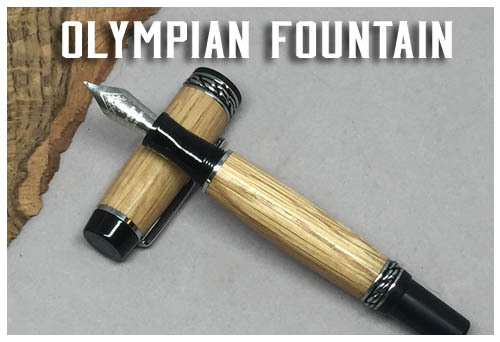 This Fountain style pen is called the "Olympian Elite" style. Thick body, threadless post, and a nice weight make this a classic design. Artistic twisted rope band design for a more decorative and elegant look. 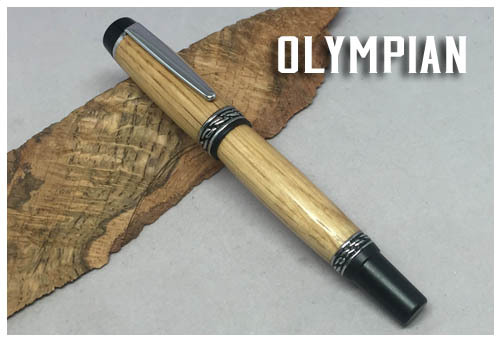 This pen is "Postable," which means the cap presses onto the rear of the pen (the 'post') while writing for storage and balance. 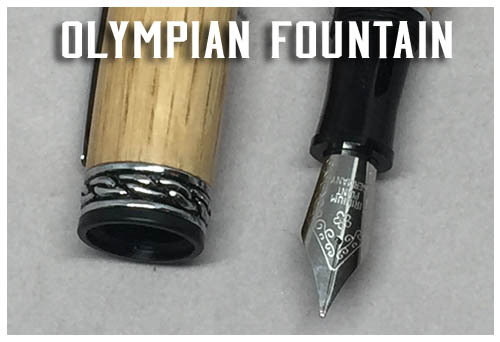 The fountain pen version inclues a premium German iridium nib and a premium ink resivoir pump. The rollerball version uses a Schmidt or Schneider rollerball refill. 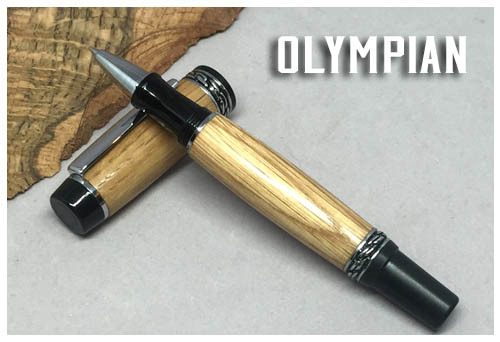 Available in Rhodium hardware, and your choice of wood "flavor." Refills are available below and at most office supply stores.